"Is it possible that the kids beg to go to the dentist and are jealous if a sibling gets to go and they don't? Yes!! Thank you for being such respectors of the little people. The staff takes such care to be sure the kids know what's coming... they make it a fun instead of fearful experience. A+!" "My sons love to come here. All of the staff are so nice and care about their patients. I wouldn't go anywhere else." "Best pediatric dentist office in town. The whole staff is kind and helpful. They were able to reduce all anxiety my son had about the dentist." "We love Dr. Rohner and her entire staff! I love that my kids get excited to go to the dentist!" "We LOVE Dr. Rohner and all of the staff! The girls always have a great experience and feel so proud of themselves and their dental hygiene after a visit with their dentist!" 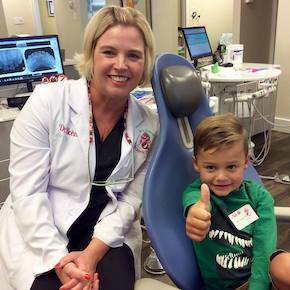 "The hygienists are amazing and make the experience fun for the kids. Dr. Rohner is hands down the best with the kids." Welcome to the office of Angelica Rohner Pediatric Dentistry, where helping children achieve optimal oral health is our passion. 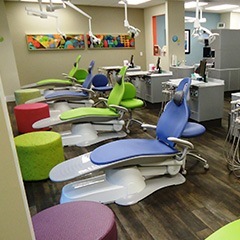 Located in Birmingham, Alabama, we are committed to providing comprehensive dental care for infants, children and adolescents and strive to create a fun-filled environment where children feel at home! We believe early dental care can promote a lifetime of healthy smiles for your child. Dr. Angelica Rohner and her skilled and nurturing staff provide a positive dental experience at every visit. They invest in your child the knowledge necessary for good oral hygiene. To ensure that your child grows up with a healthy smile, we offer sealants, fluoride treatments, tooth-colored fillings and regular check-ups.